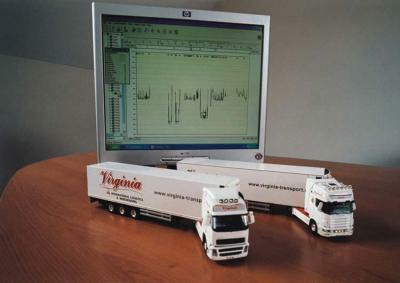 At Virginia International Logistics we use a state of the art Fleet Management System that allow us to monitor both Trucks and Refrigerated Trailer movements in real time. In relation to our temperature controlled business, we have installed a GPS and Temperature Download module in all our fridges that enables us to track temperatures live from loading to delivery. Data may be downloaded, if necessary, within minutes via e-mail, to the relevant parties. This temperature monitoring works with split fridges, multi-temp units and also our double deck fridges. It also acts as an additional security feature for tracking loads and temperature alerts can be set to ensure correct temperature is maintained throughout transit.